This entry was posted in #ShareGoodness LDS Life Lessons SundayMessage and tagged April 2014 General Conference General Conference Quotes of faith Quotes of hope on October 4, 2014 by Elizabeth. This weekend is one of my favorites! It is General Conference for the Church of Jesus Christ of Latter Day Saints. That means we gather together to listen to our leaders and receive direction, instruction, and inspiration from them. For me personally, it is a chance to feel motivated and inspired to be a little better: a chance to feel renewed and encouraged. I always can use a little bit of that. If you are interested in learning more about General Conference is, check it out here. I always leave conference with some of my questions answered, a desire to be a little better, and some ideas on how to move forward with hope, faith, and kindness. I know that I need it, and hope to be able to share a little encouragement with you today! I hope you all are able to feel the love of the Lord in your lives today, where ever you worship, however you worship. I hope that you know He loves you. He is there. We are all made of goodness because we come from Him. Lovely round up. I think my favorite is the one about blame keeping the wounds open. So true. Thanks, Ana. I love that one too — it is so true. 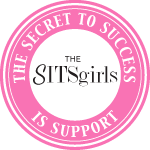 Congrats on your SITS day! Thanks Brittany!! Bummer. I will check it out. Thank you! Have a great day! These are beautiful Elizabeth! Thanks so much for sharing them. I missed all of Saturday conference with kid activities, so I’m looking forward to reading them all next month and enjoying all the quotes and the spirit of each. Thanks for giving me a preview on a morning that I really needed a pick me up. Thank you, Kim. Always a pleasure to interact with you!! I love conference. Always gives me a few more ideas to work on! !